Home / Energy Saving Tips / Building Performance / Looking for a Career in Energy? As energy costs rise, and there are increasing reports of climate change, the world is becoming more aware of the need to conserve energy and lower the carbon footprint. With both residential homes and businesses requiring the help of professionals to reduce energy consumption and save money, the demand for certified energy auditors is growing fast. Now is the time to look for a career in energy. According to the U.S. Green Building Council – green energy careers are set to grow by 8 million workers in the next 3 years which means that energy as a profession is growing fast, and with tax incentives to persuade more people to jump aboard the green train and hire energy professionals, the outlook for a career as an energy auditor is promising. The more experienced the energy auditor, the higher the salary they can command. Compensation can be substantial, depending on the type of certification and amount of experience that an energy professional has. Being an early adopter to gain qualifications and experience now, could help make sure that your salary is in the top tier when energy auditing reaches a peak. BPI – Building Performance Institute – To become a certified BPI Analyst, it is best to take either an online course or classroom seminar in order to become more educated on the material. The online training is an 8 week course. Then a 100-question exam is required, along with a practical field evaluation. Both must be passed in order to achieve certification. RESNET HERS Rater – To become a HERS Rater, you must pass the RESNET HERS Rater exam, complete two training ratings, and three supervised ratings all within a 12 month period. 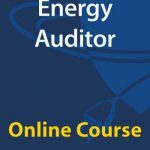 Our online training for the Energy Auditor qualifies as one of the two training ratings. Completion of all of steps is needed for certification. Weatherization Energy Auditor – This grants additional education and potential wage increases in the energy auditing field. A weatherization course is available online that takes 8 weeks to complete. The course does not provide certification, but it does further your knowledge in the field of energy auditing and complies with the BPI Building Analyst Standards.